We service 25 countries and provide CITES permits and all necessary documents. We sell wholesale only. Prices will be determined by the amount ordered, species ordered, and freight to their destinations. 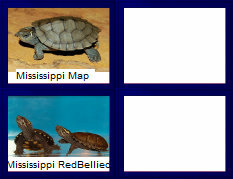 Click a picture below to learn more about that turtle species. are now available. Minium order of 30.